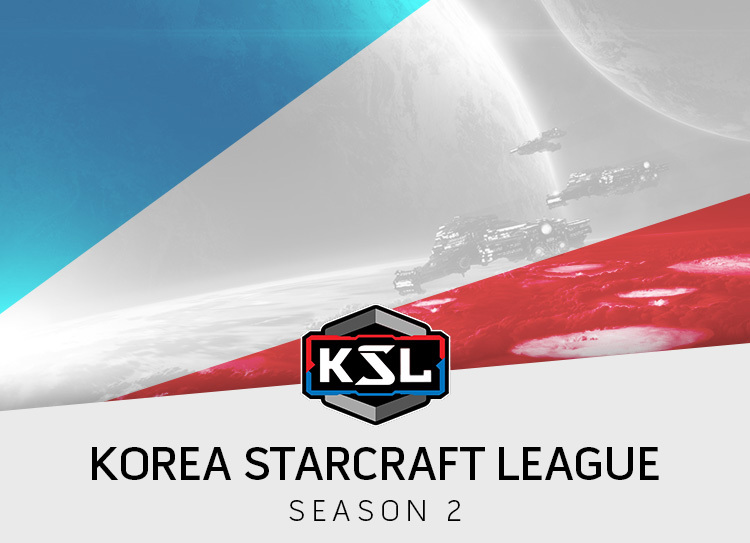 KSL is back, and you know what means? More BW action for us all! Most of the expros have made it into this tournament so it's pretty packed. Exceptions are Flash who opted out so that he can focus on ASL, and Jaedong. Regardless, the games should be exciting as this KSL presents many questions. Can Last win another title? Will Rain rise up again, or will he fall to another Zerg? What will Larva accomplish in his first KSL? What about JyJ who makes his appearance in years? Will Mind make up for his performance last ASL? What about Light or Movie? And these are just the tip of the iceberg! Read on for the preview of groups A and B, written by Bigfan while groups C and D were written by Ty2 and BLinD-RawR respectively. With the first group set to start in , it's time to see who shows up! Let's get hyped for more BW! Ah, group A. Part of me wants to say that's A for Action, and you know what? I will! This is Action's group and he's going to go all out for his fans, of which I am one! Unless otherwise noted, the sponmatch results are for the last 3 months only. A ZvZ between 2 players that are about average in the matchup with Action and Miso having a winrate of 57% and 55%, respectively in sponmatches. ZvZ comes down to whoever is able to deduce his opponent's strategy first, and is able to play the mind games at times. An example is Action keeping a group of lings on the map outside of Jaedong's vision in their game on Sylphid in ASL6 which presents an opportunity for a backstab. Of course, there's no doubt that Miso can do the same, however, from my perspective, Miso isn't as good of a player as he's made out to be. His run back in ASL5 was more based on luck, and maps while his ASL6 run was cut short by Shine, and Shuttle. On the other hand, Action has made the Ro16 last ASL, and the Ro8 this ASL. He's beaten Soulkey, Jaedong and EffOrt in both ASLs. He's someone who tries to craft the game, and lead it as he likes. When it works, he looks like a genius, and as if he was using dark magic. When it doesn't, well, it doesn't look good. Regardless, Action definitely has the advantage here and if Miso allows him to dictate the pace of the match, and do as he pleases, he'll find himself in trouble. This is still ZvZ though, and the sponmatches aren't heavily in favour of one or the other, so I can see Miso taking a game off. Action should still be able to come on top, dropping a single map on his way to the winners' match. Honestly, there's almost no point in even trying to speculate on this. While it's true that Rain's form feels a bit weaker than it was during his ASL5 and KSL run, Rain is still a beast in PvT, boasting close to 60% winrate in the matchup in the last 3 months in sponmatches. His record against Light sits at 67% in a sample size of 12 games. Light has certainly gotten better himself at the matchup, boasting an overall winrate of 58% over the same time period, however, some of his record is against players of a lower caliber. Rain is also considered the best PvTer by general consensus, with only a player such as BeSt, Mini or potentially Shuttle challenging that status. Even though Light did mention that he is more confident against Protoss in his ASL interview, and he has a positive record even against players such as Mini, he has historically been weak at the matchup. The last time that Light's TvP made an impression was when he eliminated Shuttle in ASL2 on Benzene in a really crazy game. Rain is no Shuttle, even if Shuttle is one of the best PvTers at the moment. A long macro game would heavily favour Rain, so Light's best chance is to go for a strike to cripple Rain's economy early on or take heavy risks so that he can take control of the game as he likes. I still can't see Rain dropping more than one map at best, even with Light's more recent form and newfound confidence, therefore, I predict Rain to advance to the winners' match, dropping a single game to Light. We've already established that Rain is a macro beast earlier, and being an ASL champion means that he's got the right mentality. Question is, how has Rain's PvZ fared since his loss to Jaedong? His sponmatches indicate that his winrate sits at 56%, while Action's winrate sits at 60%. Head to head, both players are almost at 50%, with Action winning 2 more games overall. What this will come down to is the mind games. As everyone is aware, Action is the planning type. In his games against Shuttle, he had a strategy for each game, but seemed to fail whenever it backfired. His best chance at a macro game fell apart to Shuttle's attack on Sylphid. That does not mean that Action can't play the matchup in the late game, but it does mean that if this gets to the late game, I'm giving Rain the advantage based off what we have seen so far. Let's also not forget that Rain did lose to Action last ASL, but won the finals' game after Action accidentally targeted his den with his hydras which helped Rain's speedlots greatly. Personally, I feel that if Action can plan like Jaedong did against Rain in KSL, he has a really good chance to advance from this group in first place. Much of it will depend on trying to get into Rain's mind, and making him play ultra safe or ultra aggressive, as Action sees fit. Even with that, Rain is likely to bring it to a decider purely off his skills. In the end, I'm going with Action boys! He better prove me right! 3-2 with Action advancing to the Ro8! While Miso has great muta micro, and seems to play well under pressure, Light has an enormous advantage here, both due to his history as a TvZ specialist, and the fact that he's been cranking it up lately. Light's TvZ winrate in sponmatches sits at a preposterous 80% with Miso managing a *single* win from a total of 12 games. Miso's winrate on the other hand sits at an abysmal 32%. Clearly, it's his worst matchup at the moment. With some more standard maps in play such as Circuit Breaker or Fighting Spirit, Miso will have his work cut out for him as he'll have to face Light's bio, his bread and butter. There's really not much else to say here. So long as Light scouts around so he doesn't fall victim to proxy nydus canal strategies or other such strategies, he should be able to crush Miso 3-0 on his way to the finals' match. Regardless, Miso will still put up a great fight. I still stand by my original prediction that was mentioned earlier. Rain will always have the advantage in this matchup, especially against someone like Light therefore I predict Rain to advance, but not before Light goes all out trying to pick up a win or two in the process. Of course, weirder things have happened before, such as Sharp taking a game off Rain on Neo Transistor in this latest ASL, but even then, you can't expect those to happen 3 times in the same night! Action and Rain to advance to the quarterfinals! Group B is quite an interesting group with players that have all had a large peak, and have done extremely well for themselves in the last couple of years. This of course excludes Killer who is nowhere near peak form, and who had come back from the army in ASL4. Unless otherwise noted, the sponmatch results are for the last 3 months only. You'll have to excuse me if I don't have a lot of faith in Killer right now, especially when it comes to his ZvT. For anyone who was not aware, Killer was considered one of the best Zergs during the Sonic era, with the best ZvZ and ZvP around (hero was close here though) and an all-around above average ZvT. However, considering his mindset before leaving to the army, and having come back recently, I don't believe Killer has reached his peak form yet, and it's likely that he may never do so either. On the other hand, Mind's form seems to fluctuate quite a bit himself. Reaching the quarterfinals several times in ASL, only to face strong opponents such as Flash in ASL4 or hero who managed to eek out a win in ASL5 despite Mind playing his best in years. He can be inconsistent, but he's still one of the best Terrans around when he's on top of it. As an example, his current sponmatch record is 73% over 63 games. He has a winning record over all Zergs, including Soulkey with the exception being EffOrt who he's 50% with. That should speak volumes to his level. For Killer, things aren't as peachy with his own record sitting at 36% over 55 games. Interestingly enough, they have not played any sponmatches against each other, but so long as the Mind that faced hero in ASL5 shows up, Killer has no chance at winning this series or even taking a single game. Sorry Killer fans, that's just the reality of the situation. Maybe Killer will really show up this time though. As one of the rising Protoss players who seems to struggle with his nerves when placed in tense situations or facing big names, Mini's PvZ seems to be a mixed bag sitting at 53% in sponmatches. He performed really well in ASL5 on the maps provided, defeating Larva, and coming close to beating hero as well on Third World. However, the maps in KSL2 aren't as wacky or protoss-favoured as ASL5 maps were. Furthermore, Mini is facing off against Soulkey who he has a 25% winrate against in sponmatches. It's true that Soulkey's ZvP feels uninspired, but he's still a pretty strong ZvP player, and for someone who's considered a ZvT specialist, Soulkey's ZvP sits at 68% over 101 games. He has a winning record against every Protoss player, including Rain, BeSt, and Shuttle whenever they have played several games. The other part of the equation is the maps. Whoever takes the first map in this series will have a huge advantage. If Soulkey can take the first game, he'll place even more pressure on Mini to close the deficit. This series will depend heavily on who takes the first game, and if Soulkey can get into Mini's mind earlier. Now, Mini did make it further in ASL6, and did look solid against Shine on Neo Transistor, however, considering everything, I'd still have to give Soulkey the advantage. If Mini can employ some of the strategies that his brethren such as Shuttle use, he has a chance to beat Soulkey, otherwise this will likely be a 3-1 or 3-2 series with Soulkey coming out as the victor. This is the kind of match that I'm really looking forward to. Considering that the players will have around 2 weeks to prepare, and both players have shown some impressive games in the matchup, I'm excited to see who will be able to come out on top. As mentioned earlier, Mind's TvZ is his current best matchup, and he has a slight advantage over Soulkey in sponmatches (won 1 game more from 17). Soulkey's ZvT winrate sits at exactly 50%, but it's been dragged down heavily by Flash. Honestly, this is a tough matchup to predict. Seeing as both players can play really well, I believe that this will come down to who can play better on that day. More specifically, who comes in more prepared considering some of the new/returning maps (Eddy, Roadkill etc...). Let's keep in mind that Soulkey has also beaten Light before, and put up a great fight against Last in KSL just recently so, he's still in good form. Considering that both of the aforementioned players are stronger than Mind in ZvT, I'll have to hand Soulkey the advantage, but it won't be a total wipeout either. I expect a 3-1 win for Soulkey, with Mind grabbing a sole win on a standard map such as Fighting Spirit. Killer's vP is his worst matchup at the moment with his sponmatch record sitting at 34% while Mini is at least breaking even in the matchup. The two players have only played a single game in the last 3 months so there's not much to go off there. I would still give Mini the advantage due to his recent form, and the fact that Killer is nowhere near his prime anymore. That doesn't mean that Killer will just roll over, and lose. He must fight for his pride, but so long as Mini scouts carefully for hydra busts, I would say he has the advantage overall and should take this series. It'll be sad to see Killer eliminated, but he's landed in a tough group. Prove me wrong Killer! This could not be any worse for Mind. Last has lost to Mini, even when he 2 fac'd on Sylphid in ASL recently, and despite Mini getting dominated by Flash in the quarterfinals, he still put up a good fight in at least one of the games, and might've even taken a game if not for the reaver bug. Now, it's true that Mini's online winrate vT is only 54% compared to 49% for Mind's vP. However, the current meta of Up Terran fits well with Mini's style of play. So long as he doesn't go for similar strategies to what he did against Flash, and let's be fair, they do have a chance of working vs Mind here, he should have no problems dealing with Mind. Sponmatch results also are in Mini's favour at 56% over a sample of 25. I'm a Mind supporter, and have cheered for him since the Sonic days, but as one of the best Protoss atm, I just can't see Mind winning this series unless he pulls out some wacky strategies. I'm talking about him starting game 1 with a proxy 2 rax to get into Mini's mind then following it up with a greedy build the next game. Mixing cheese and greed is the best way to defeat Mini and while he's certainly capable, he'll need to fully embrace the cheddar to do so! Seeing as Mind hasn't cheesed in what feels like ages (I could be totally wrong here), I have to hand Mini the series. A 3-1 scenario is quite likely when everything is taken into account. Soulkey and Mini to advance to the quarterfinals! KSL 2 will be Larva's latest tournament since his unfortunate death by Sparkle in ASL 5. In his climb back from the fiery descent of noobdom, he was knocked down by mMovie in the KSL 1 qualifiers. When ASL 6 came, Larva declined to even qualify, citing stress related reasons. Now he's here, made anew since his glittery demise, to make a statement in order to reclaim his title of top Zerg. On the other side of the ring is a man opposite in both place and mind. On an ascent deep into the mountains, he's meditated and dieted, training in the ways of yoga. Mentally ill or mentally empowered, either way, he's looking fantastic. He makes a descent to the lower plane of the commoner to make battle. Here two worlds collide, both transformed and eager to win. Larva's soul has been deeply hardened since being wrapped in a cocoon roasting in the depths of tesagi hell, and used as Flash's personal punching bag. His training was tough, but he was made all the stronger to become a bonafide Terran Slayer. How then will Sharp fare in his worst matchup? He is against a wall, but his training in the mountains has undoubtedly emblazoned his spirit all the more. He is guided by the maiden of tesagi, its very warmth the key to disarming Larva's cold demeanor. Through such whimsy of mind, I give Sharp the favor of throwing Larva off balance and reigning victorious. Movie, mystical Movie, wit untenable, spirit unshakeable, and a smile that is unbreakable. Movie has been an upstart contender in the ex-pro scene lately, qualifying for several major tournaments, but never defeating the top tier progamers. Aye, he was yet another average ex-pro, until... he created the worst exhibit of them all. His group C games in the ASL Ro24 were an unpleasant sight to behold. While no one can fault him entirely for a poor display, the games were ugly nonetheless. This is his moment to possibly redeem himself and make a mark on the scene that's more than a bump. Jaehoon's presence on the other hand has been even less influential than Movie. A relic of the Sonic era, and early ASL season 1, Jaehoon hasn't seen much play. I can't say I have high expectations for him here either. And for that reason, the more consistent and safe bet is for Movie to take home the win in one-sided fashion. Movie is, after all, the man who held his own against Rain not too long ago. Sharp's TvP was able to fell Rain, and he'll most likely do the same to Movie here. That is, unless Movie has a trick up his sleeve. Nevertheless, Sharp's third eye will see through Movie's smoke and mirrors to claim victory. Larva, the raging punching bag that survived tesagi torture vs. Jaehoon, the okayish-but-truth-be-told unremarkable-Protoss. I'm seeing Jaehoon slip clumsily, yet gracefully fall, losing to his own cautiousness. Larva on the other hand, not letting up the pressure will macro swarm Jaehoon in this series. It'll be a rematch of when Larva was knocked out by Movie in the qualifier of the previous season. I expect here that Larva, especially in a longer series, won't lose to any one-off strategy. For that reason, I give him the confident win. Sharp and Larva advance to the quarterfinals! Last has undoubtedly entered into his second wind as AlphaGo, and results wise, he's been doing better than the last time, although it will take a while to see it on sponbbang (thanks Flash). However, unlike last time, it has translated into much better offline results, with Last winning the last KSL handily, and making a deep run in ASL6 (as of right now, he will face EffOrt in the Ro4). Before, he was choking in offline matches, but now we see a champion's mindset from him. Expect nothing less than a 2-0 advancement from this group. Neither JyJ nor whoever wins against Leta and Modesty really stand a chance against Last especially in a Bo5. The best man will win, and Last is far and beyond the best man among this bunch in terms of skill right now. This leaves us with the trio of Leta, Modesty and JyJ who will fight over the second spot to advance to the Ro8. Overall, Leta has the most offline experience, having successfully been through qualifier hell more times than the rest. He also has been knocked out from the Ro24 of the ASL just as many times making him no stranger to the offline scene now. His TvZ is fairly decent for someone who used to be one of the top Terrans during the KeSPA era, and he will probably do fine against JyJ, so he is the most likely candidate to advance. Some of us who have followed BW since the end of the KeSPA era, through the dark ages, and the Sonic era remember Modesty more fondly prior to his departure into military service where he made great runs in online tournaments, played a pivotal role in the Sonic Proleague by helping ex-KT (even though he was always an STX player in KeSPA) win the entire tournament, and of course his Guardian strats in ZvT. Well he has only Terran players to worry about in this group, so let's hope that we see the Modesty we’ve been missing for so long. The Greatest Spire flies again, but will it be enough to put Leta off guard 3 times? That's a toughie, but at the same time I am rooting for him the most, because he's also more likely to do better moving forward than Leta or JyJ to me. JyJ was famous for a reaction face that he made back in 2011 after a one base race game with GGaemo (even though GGaemo is the king of bad reactions). I really don’t know what else to say. He was a rookie during his proleague days, just barely getting his proleague spot on SKT T1 (to be fair it was SKT, the competition must have been brutal). He hasn’t had many televised matches, and he's rarely won the ones he's been on. Also, he has yet to compete since the KeSPA era. To be honest, he's the closest thing to fresh blood you’d get in this day and age. He did get through a brutal qualifier beating Snow in the finals with great decision making skills, so we know he's quite capable, but still untested. I want to be wrong about him. Last and Modesty to advance to the quarterfinals! the liquidpedia link goes to ksl1, shouldnt it be ksl2? That was meant as an easter egg Fixed, thanks! The good side to having the best known people skip this tour is we have no idea whose going to win! The bad side is well have to watch a bunch of recalls into cliff doodads when jaehoon plays. last will likely steamroll this thing personally I’m looking forward to watching some larva games we never get to see him very often. Leta and modesty could be entertaining too. "Rain is also considered the best PvTer by general consensus, with only a player such as BeSt, Mini or potentially Shuttle challenging that status." Looking forward to Action's antics! It's not a bug, it's a feature an easter egg. JyJ and Leta are going to advance from Group D.
Group C is starting soon with Larva making an appearance! What happened to the big name players? Stork? Best? Effort? Jaeodng? Flash? Stork and Best failed to qualify. Jaedong passed on this season to get crushed in ASL. Flash and Effort don't play KSL.